Everybody knows that Cebu is a culinary haven. The Queen City is known for its famous lechon, puso (hanging rice), danggit, and chicharon. Even the more adventurous ones such as tuslob buwa, ginabot (chicharong bulaklak), and lansiao (bull testicle soup) fascinate the palates of tourists. But trust me when I say your trip to Cebu will never be complete without tasting the classic street food, Ngohiong. 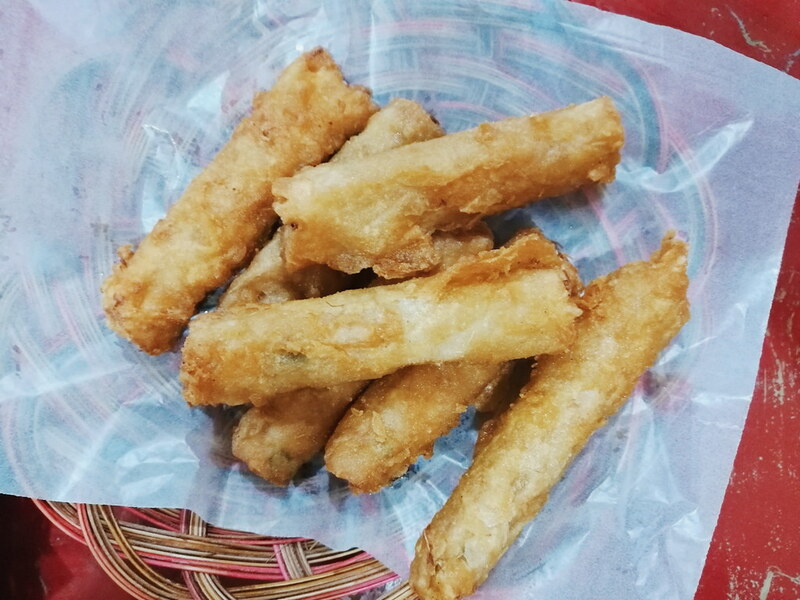 Pronounced as "ngo-yong", it's Cebu's version of a spring roll, typically made of singkamas, bamboo shoots, garlic, and onions. Some also mix in some ground pork and shrimps. Ngohiong mostly appeals to the students and the working class because it's readily available in eateries that are near schools and offices. Plus, it's very cheap too. For only seven pesos, you can have a piece of the tasty ngohiong. 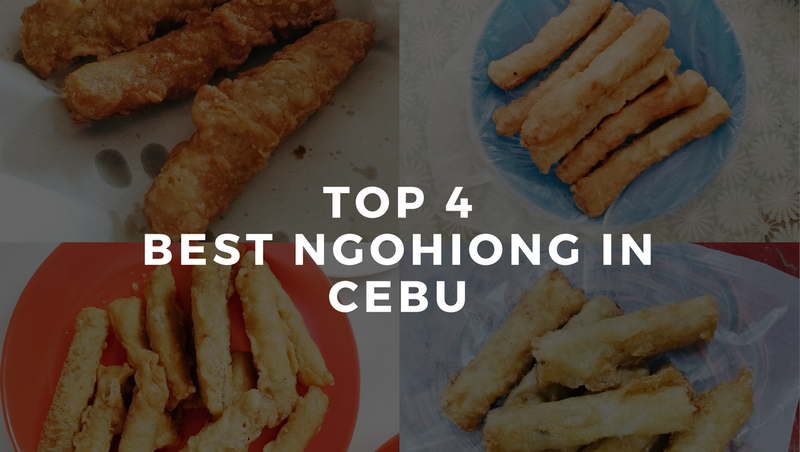 But where can you eat the best-tasting ngohiong here in Cebu? Check out my list below for my top four picks of places that serve the best-tasting ngohiong here in the metro. Labangon is famous because this part of the metro is where the best-tasting siomai and halo-halo places are situated. But Ho Ngohiong is also one foodie place that you should not miss out when you're around the area. The good thing about Ho Ngohiong is the place itself is clean. They have neat and proper tables and chairs and their staff attends to your orders well. 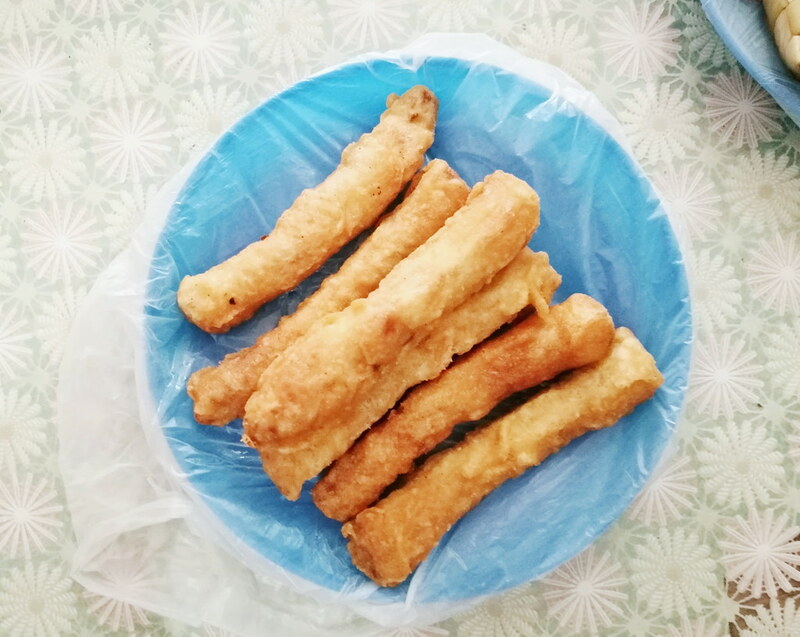 What I love about Ho Ngohiong is their ngohiong is delicious and not greasy. However, there's just something missing in their ngohiong that I could not really point out. Nevertheless, their ngohiong is worth the try. Now, what I don't like is their ngohiong is best paired with the sauce. I'm not really a "saucy" person (if there's such a word) and I judge the ngohiong by the ngohiong itself. Not the ngohiong with the sauce. I have been dining at this Chinese Ngohiong place ever since I was in college. Whenever we have days scheduled to be at the main campus of University of San Carlos, we always make time to drop by here. Most of their customers are students but they have many suki who come for takeouts too. At Ho Ngohiong, you take a seat and a staff will come to get your order. But at this Chinese Ngohiong place, you need to fall in line to get your orders. But their service is quite fast, so you don't have to worry. What I love about Chinese Ngohiong is it's delicious as well. 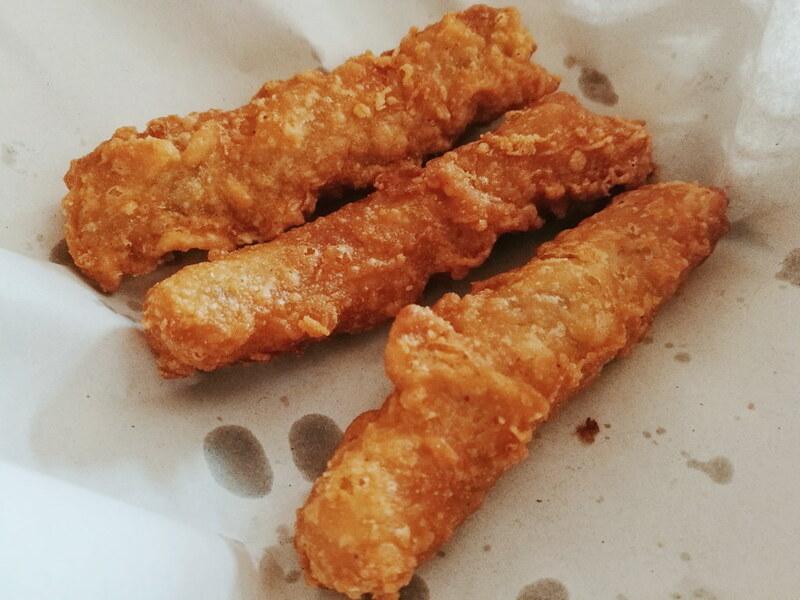 Their ngohiongs are well-seasoned and full-packed with the fillings. And I have to say that among the four, they have the best sauce. What I don't like about their ngohiong is it's VERY VERY VERY GREASY that I taste oil in every bite. It was my partner, Sheen, who introduced me to TJRB's and I have been in love with their ngohiong ever since. They're located across the Sacred Heart School in Gen. Maxilom Avenue and they're just by the road so it's very easy to locate. What I love about TJRB's is their ngohiong tastes really friggin' good with or without the sauce. And it's not greasy at all (this has become my primary concern eh?). There's nothing that I don't like about TJRB's ngohiong. What I don't like is the place itself and their service. Considering that they have already earned a lot of loyal customers, the place is very very small. You have to wait for the others to finish so you can have a seat. Regarding their service, I don't like that they prioritize the customers who order takeouts. So if you're falling in line, you're excited because you're next, and then a customer comes in and buys 30 pieces, they accommodate that customer first. Lucky you if they still have ngohiong left. Unlucky if they didn't. Doming's, for me, definitely tops my list. 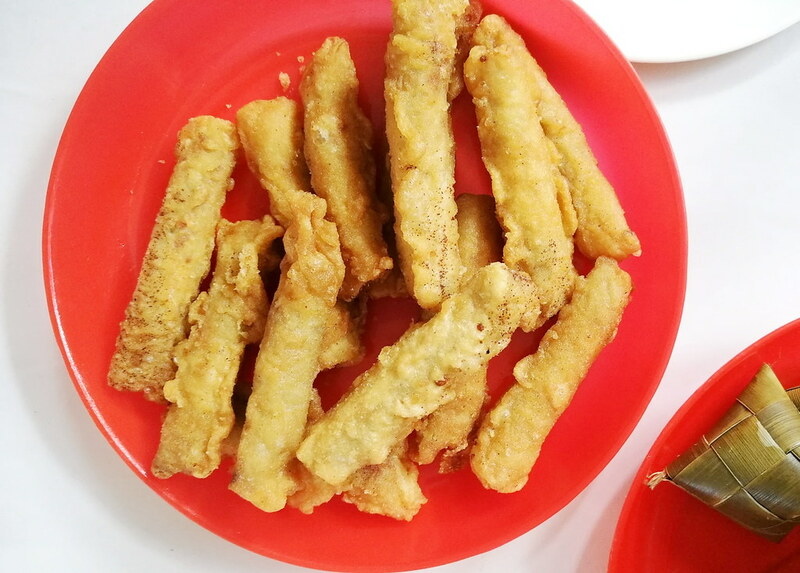 The saying, "once tasted, always wanted", perfectly applies to their ngohiong! Ever since I have tried it, I have been craving for it almost all of the time. What I love about Doming's is of course, their very delicious ngohiong that I could eat at least 8 pieces in one seating! Doming's Ngohiong is the best-tasting (disclaimer: for me) ngohiong in the whole Metro Cebu. Like TJRB's, there's nothing I can complain about Doming's Ngohiong taste-wise. That's why I listed it as #1. And also like TJRB's, it's the service that I do not like. Their service is really slow so you have to patiently wait for your order to arrive. BUT THEIR NGOHIONG IS DEFINITELY WORTH THE WAIT. So here, take my advice, go there before you feel hungry and before lunch time. Their ngohiongs run out as early as 1PM! So if you're planning to visit Cebu, make sure you drop by one of these ngohiong places but never ever forget to try Doming's! LOL. P.S. If you have other ngohiong places you can suggest, comment them down below so I can visit them! YEES to Doming's Ngohiong! So glad one of my bestfriends introduced me to this place. Lami jud kaayo ang ila ngohiong and that's saying something considering I never used to eat one before. Pero tuyu-unon pud lagi. I just recently visited Cebu for an adventure. Now I feel like our trip was incomplete, I hope I have tasted this one, it looks delicious. Looking forward to eat cebu's ngohiong when I get back there Hehe. Thanks for sharing! It is indeed incomplete!!! Balik ka na agad! Cebu Ngohiong is awesome!!!! Try 032 ngohiong house. There is one at the opposite side of BRIGHT academy. I loved their ngohiong. © Off-Duty Mama - Cebu Travel, Lifestyle, and Mommy Blogger. Developed by ThemeShine.